Duerrs Mint Sauce - Brits R U.S. Imported from the UK, Duerr’s Mint Sauce is traditionally served with Roast Lamb and can be served with potatoes or peas. 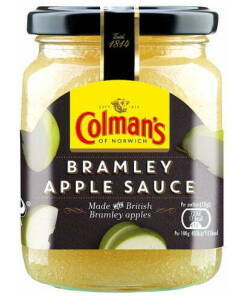 This product is available in a glass jar. 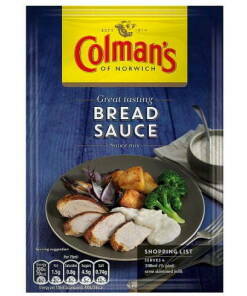 Ingredients: Spirit Vinegar, Water, Malt Vinegar (from barley), Glucose-Fructose Syrup, Sugar, Dried Mint (5%), Cornflour, Salt, Colour: Copper Chlorophyllin; Stabliser: Xanthan Gum; Spearmint Oil. 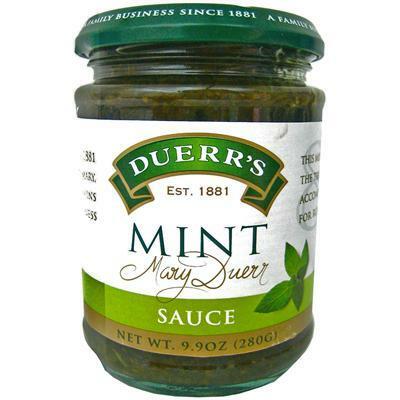 Duerr’s Mint Sauce may contain traces of nuts and/or seeds. Duerr’s Blackcurrant Jam is made from plump, juicy blackcurrants to make a spread perfect for toast or in tarts.